2018: THE YEAR HORROR REGAINED SUBSTANCE and RESONANCE! Pyewacket’s story is triggered by the fractured relationship between a mother (Laurie Holden) and daughter (Nicole Muñoz) who are both mourning the death of their husband/father in completely different ways. Teen Leah has turned to an interest in death and the occult and her mother wants to start a new life in a new house, taking Leah away from her friends and school. The resulting turmoil has Leah evoking a dark entity, Pyewacket, to kill her mother and learning the harsh lesson…be careful what you wish for. The dysfunctional relationship between mother and daughter is strongly presented by writer/director Adam MacDonald and wonderfully acted by the lead actresses. The conflict between Leah and her mom is the catalyst for the horror that results and gives this spooky chiller a resonance that enhances it’s supernatural element, by giving it subjects to prey upon that are already emotionally vulnerable. What Keeps You Alive tells the story of Jules (Brittany Allen) and Jackie (Hanna Emily Anderson), a married, lesbian couple going to Jackie’s family cabin deep in the woods to celebrate their first anniversary. There, Jules finds out Jackie is not who she thought she was and that she may have married a psychopath. Jules is forced to fight for her life against the one person in the world she loves the most. Colin Minihan’s thriller works so well because it skillfully presents a loving relationship between two women and then tears the relationship apart in the most painful way as one woman finds the love of her life is a vicious and cruel person. Both actresses give fantastic performances as the cold and cunning Jackie and the heartbroken and terrified Jules. The film may be intense and brutal, but even more so because Jules’ betrayal and the torment she endures as a result, are portrayed so well and give the story impact beyond the violence we witness. Feral is another film this year to present a lesbian couple as the character focus for it’s story. Here Alice (Scout Taylor-Compton) comes out to her friends on a camping trip by bringing her girlfriend Jules (Olivia Luccardi) along. It’s met with mixed emotions from her friends and adds conflict before our infected even appear. Once our creatures are introduced and the bloodshed and carnage begin, we watch a strong-willed young woman fight to save the ones she loves and even finding conflict with her new partner over how to handled those of the group who become infected themselves. Director and co-writer Mark Young elevates this cabin in the woods/zombie horror by having a strong and topical human interest story at it’s center with three dimensional characters well played by the cast, especially Taylor-Compton’s strong-willed but compassionate Alice. Our House is a haunted house story that tugs at our hearts as well as chills us to the bone. Here, college student Ethan (Thomas Mann) is forced to leave school and abandon his dreams as the accidental death of his parents takes him from sibling to parent to his younger brother Matt (Percy Hynes-White) and his little sister Becca (Kate Moyer). Director Anthony Scott Burns gives us time to become endeared to this young, emotionally wounded family before introducing the supernatural elements brought into the house by Ethan’s experiments. Even if the basic haunting story is routine, it becomes very effective as the audience has a strong emotional investment in the characters from early on. We like them and fear for them. 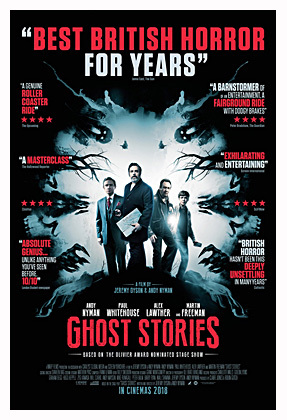 This could have been just a routine ghost story had Burns not given it such a very human heart and elevated it in a crowded sub-genre. 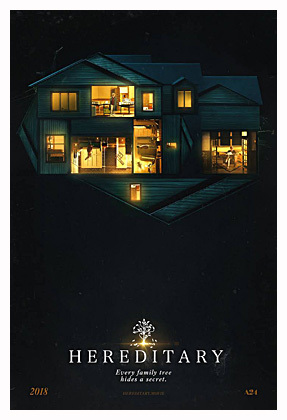 Hereditary may have split fans with it’s slow pace and extremely eccentric characters, but it was a story of mental illness as much as the supernatural. It had a very strong performance by Toni Collette as Annie, a woman dealing with her own mental health issues, as well as, those of her very offbeat family. Filmmaker Ari Aster could have left out the demonic portion of the story and still had a disturbing portrait of an unbalanced family created by some sadly damaged DNA. By giving us a strong picture of possibly mentally unstable characters, it kept us guessing till the final moments if it was the demonic or the psychotic that was to blame for this family’s woes. Again, basing the story in a strong human element that we can identify with and invest in, makes the supernatural elements plaguing our subjects all the more effective and believable…and thus more frightening. These are just some examples, but one could site a few more illustrating how horror has refocused from blood, gore and things that go bump in the night to the matters of the mind and heart of some very human characters. It gives the films in question resonance and when we identify and care about characters, it makes their respective predicaments all the more effective. This year’s horrors also had something to say about some very topical human issues, while telling their stories of ghosts, ghouls and malevolent specters…and the genre is all the better for it. 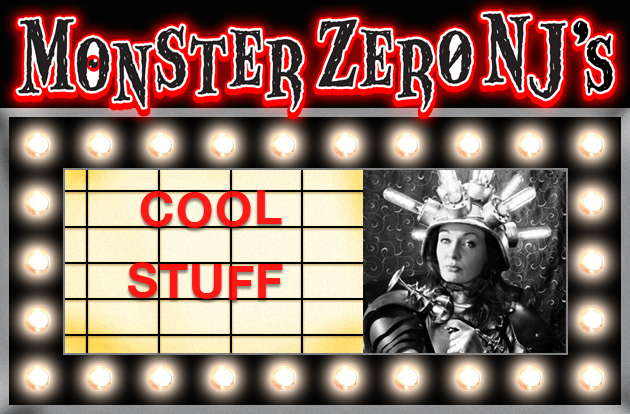 …And obviously, I recommend you catch up with all these flicks if you haven’t already! 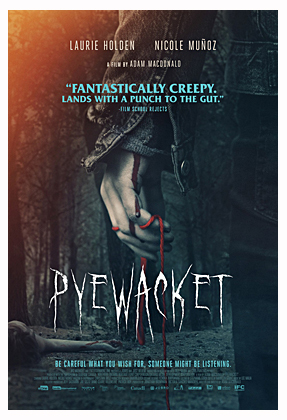 COOL STUFF: PYEWACKET on BLU-RAY! Pyewacket (full review HERE) is a creepy supernatural thriller, from Adam MacDonald, that finds teen Leah (Nicole Muñoz) drawn into the occult after the death of her father. She and her mom (Laurie Holden) aren’t getting along, especially when her mother decides to sell the family house and move them out and away from Leah’s school and friends. An angry Leah conducts an occult ritual evoking the dark spirit, Pyewacket, to kill her mother. Soon a regretful Leah learns the meaning of “be careful what you wish for” as something dark and evil has entered their fractured home. This IFC Midnight title is now available on Blu-Ray from Scream Factory as part of their home media release deal. The picture is a crisp and beautiful HD 1080p mastering that is presented in the original 2.40:1 aspect ratio. It maintains Christian Bielz’s moody cinematography with blues and greys being predominate, while not overwhelming other colors, such as the yellows and greens of the woods and cabin interior, or the vibrant red yarn Leah uses in her ritual. Director Adam MacDonald has a nice visual style and his shots look great as represented on this disc, which adds to the film’s atmosphere. The audio is a 5.1 DTS HD master and should sound appropriately spooky on any home theater system and for those without, there is a nice 2.0 HD stereo track, too. The extras are fairly simple as seems to be the case with the IFC Midnight releases. We do get a 17 minute making of featurette that focuses first on interviews with stars Nicole Muñoz and Laurie Holden, which really give some nice insight into their performances and characters, as well as, with writer/director Adam MacDonald which paint the portrait of a very animated and passionate filmmaker. Nicole Muñoz’s powerful audition especially makes an impression here. No wonder she got the part. Second half of the documentary focuses on a stunt sequence and is a fun look at the film making process in general. There is also the theatrical trailer, too and while that is it for the extras, they are still a nice addition to a really effective movie. IMO, this is one of the best horrors of the year and this is a great way to see it, if it’s limited theatrical release never hit your area. It’s spooky and creepy and Scream Factory’s disc is worth having if you are a fan of the film or supernatural chillers in general. Brilliant college student Ethan (Thomas Mann) is forced to drop out of school to care for his younger brother Matt (Percy Hynes-White) and his little sister Becca (Kate Moyer) when his parents are killed in a car accident. He keeps working on his experiment, though, a device to create wireless energy. While the device has yet to accomplish it’s purpose, unknown to Ethan, it is opening a doorway to the afterlife. At first Matt and Becca think they are being visited by their parents, but soon it is apparent someone else has crossed over, someone malevolent and with bad intentions. Film is well directed by Anthony Scott Burns (the Father’s Day segment from Holidays) from a screenplay by Nathan Parker, which is based on Matt Osterman’s indie film Ghost From The Machine. Our House starts out with an interesting way of getting the supernatural ball rolling by having Ethan’s machine accidentally opening a door to the spirit world and letting something into the house. Eventually, though, it does settle into becoming a more routine haunting flick with both a benign and a more malevolent spirit focusing attention on little Becca. It also follows the traditional formula with a skeptical adult…here, Ethan…thinking Becca and Matt are just working through their grief. What elevates the film from the routine, is that at it’s center it is a very poignant story of children of various ages dealing with the sudden death of their parents. Anthony Scott Burns does use the familiar haunting tropes and very well, but it is his portrayal of a family in mourning and how each member deals with it, that makes the movie a supernatural horror with a heart and soul. These kids are on their own and Ethan is trying to raise them and it gives us a strong emotional investment in the young family. Even if we’ve seen the supernatural elements before, they are all the more effective because we care about the characters. Nathan Parker’s screenplay also includes a neighbor, Tom (Robert B. Kennedy) who is suffering from the loss of his wife and whose house is also falling under the machine’s influence. It creates a wild card character whose emotional instability adds some uncertainty, because we know he’ll enter the mix at the worse possible time. It adds to the supernatural elements which are already atmospheric and spooky, despite the familiarity. It was also refreshing that Anthony Scott Burns keeps things subtle, until the very end and even then avoids going over the top, keeping the story grounded. Only a brief scene with a floating doll came across as a bit silly and the rest of the flick is more accessible as it avoids getting too theatrical for it’s own good. There is a very effective cast here. Lead Thomas Mann is very good as Ethan. He gives us a brilliant student who is a bit self-absorbed concerning his project and his attention is torn away and back to his family as he must now be guardian and provider for Matt and Becca. The actor portrays well both the frustration and the sacrifice as Ethan must put aside his life and be a dad to his siblings. He tries to find time for them and follow his dream and Mann essays the awkward juggling of responsibilities well. Percy Hynes-White is solid as Matt. He’s in high school and his way of handling things is to withdraw, until he thinks there is a chance his parents have returned to the house. He also blames Ethan for their deaths and that adds tension and conflict to an already tense situation. Kate Moyer was really good as little Becca. The young actress portrays a little girl who has her parents ripped away and now seeks solace from what family she has left. When she thinks her parents have returned, she embraces the spirits without realizing they may not be who they seem. She also finds a friend in the spirit of a little girl, Alice who is followed by a far more malevolent entity. In support is Robert B. Kennedy as the emotionally troubled Tom, who has lost his wife and Nicola Peltz as Ethan’s concerned girlfriend Hannah. Sadly Hannah is left on the sidelines for a lot of the movie, until resurfacing at the end. She was a sweet and caring character and her presence is missed when Ethan is sorting out his life. Overall, this was an effective and enjoyable supernatural thriller. The basic story may have been routine, but the director and script start things off in an intriguing way and keep us interested with a very strong emotional center. 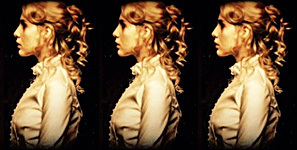 The familiar supernatural elements are used well and are more effective as we care about the characters. 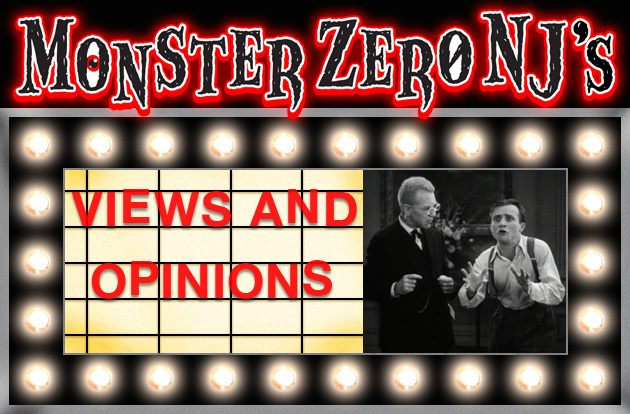 Anthony Scott Burns keeps things from getting too theatrical which serves the overall story. It’s a refreshingly subtle spook fest with a good cast and a very likable bunch of characters to fear for. As he also had the best segment in Holidays, Burns proves to be a filmmaker to keep an eye on. Another solid release from the folks at IFC Midnight. British horror anthology has an interesting premise. Professor Phillip Goodman (Andy Nyman) has spent his career debunking supernatural events and exposing fraudulent psychics. 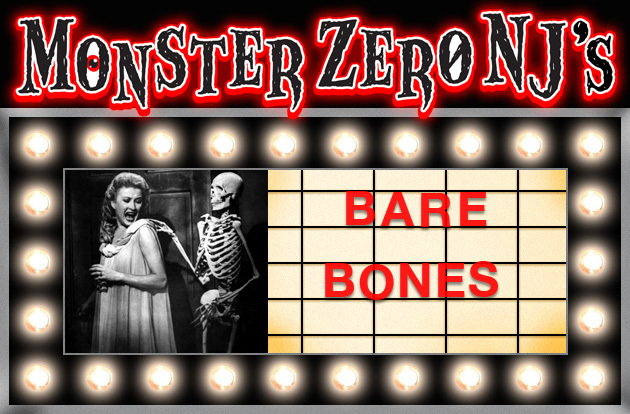 Professor Charles Cameron, a renown paranormal investigator in the 70s, who hasn’t been heard of for years and is assumed dead, summons Goodman and tasks him with a challenge. He must debunk the only three cases that Cameron failed to. One is the case of Tony Matthews (Paul Whitehouse) a night watchman in an abandoned asylum who is seeing things go bump in the night. The second is that of Simon Rifkind (Alex Lawther) a meek young man who claims to have hit a demonic goat creature with his father’s car and is now hunted by it. The third is the case of Mike Priddle (Martin Freeman) who is haunted by a malevolent spirit while his wife lay in the hospital in painful labor. As Goodman investigates each case, it may be himself that he ultimately learns the truth about. Flick is written and directed by star Nyman and Jeremy Dyson and is a spooky affair. The story set-up is quite intriguing with a skeptic, who has made a career of exposing frauds and hoaxes, being called upon by a like individual to solve three cases the man could not. As such, the three stories are very spooky, especially the first two, as Goodman faces what could be actual supernatural occurrences, unlike the frauds he’s used to dealing with. The second case “Simon Rifkind” is by far the creepiest with the young man’s home life being as unsettling as the story he is telling, his own house being scarier than the demon infested woods that his tale takes place in. The film generates the creeps with little blood or CGI and uses some nice spooky locations to add atmosphere. If the film stumbles a bit, it’s that the three stories seem a bit rushed and feel like they could have gone on longer. Also, the last act reveal/wrap-up is a bit disappointing compared to what has passed. After being rushed through the really spooky stories that could have used more attention, we get a reveal that has been done before and seems like a bit of a let-down after such a clever set-up. It evoked a “that’s all?” reaction instead of a “that’s fricken’ creepy” which it needed. The small cast is solid. Co-writer/director Nyman was fine as Goodman, though he could have used a bit more presence. Paul Whitehouse is good as Tony Matthews, the working class man who has seen things he cannot explain or comprehend in our first case. Alex Lawther is positively creepy as the odd Simon Rifkind, who may be more unnerving than the idea he ran over an actual demon. Martin Freeman is good as Mike Priddle, a self centered business man haunted in his home, while his poor wife suffers an unusually grueling labor in a hospital. As for who plays Charles Cameron…you’ll have to watch to find out. Overall, this was a spooky flick that only loses it’s grip in the final act when we get our big reveal. Star Nyman and his collaborator Jeremy Dyson deliver some spooky goods in their three cases, as well as, a clever set-up. Not able to end the flick on the same level of scary and clever is the only stumbling point the flick has. It’s not that the finale doesn’t work, it does. It’s just that we were expecting something more…unexpected. Still very much worth a look, as the three cases do deliver and we wish they had more attention spent on them than with our wraparound story. Creepy supernatural thriller finds teen Leah (Nicole Muñoz) drawn into the occult after the death of her father. She and her mom (Laurie Holden) aren’t getting along, especially when her mother decides to sell the family house and move them out and away from Leah’s school and Goth friends. 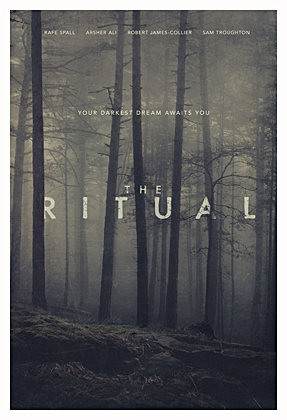 When at their new woods-set home, her mother lashes out at her during an argument and an angry Leah conducts an occult ritual evoking the dark spirit, Pyewacket, to kill her mom. Soon a regretful Leah learns the meaning of “be careful what you wish for” as something dark and evil has entered their home with malevolent intent. This is a subtle and spooky as hell flick and certainly one of the best horrors of the year. Written and directed by Adam MacDonald (Backcountry) this is a chilling tale that shows that you don’t need jump scares or over-the-top gore to make an effective horror film. MacDonald bathes his film in atmosphere and uses his camera to evoke a pervading sense of dread, even in broad daylight. He creates an already tense situation as both Leah and her mom, are each handling the death of Leah’s dad in different ways and not very well. There is friction and while Leah turns to dark music and an interest in the occult, her mom wants to have a ‘fresh start’ away from anything connected to him. This leads to some harsh words in their remote new home and Leah to dabble in something she isn’t prepared to deal with. Soon there are dark shadows lurking about the house and a visit from Leah’s tough, Goth girlfriend, Janice (Hellion’s Chloe Rose) has the girl leaving the house a terrified mess. As creepy as it is thus far, MacDonald saves the best for last with a truly unnerving final act as Leah attempts to send back what she’s conjured and let’s just say the malevolent spirit has other plans. MacDonald doesn’t resort to hokey FX or overused tropes, he simply serves up some nerve wracking moments with simple skilled camera work and some wonderful emoting from leading lady Muñoz. MacDonald, as with Backcountry , also knows how to make woods look ominous which adds to the atmosphere. And while ultimately we know where this story is headed, it’s still a shocking and unsettling finale that perfectly punctuates a very creepy film. The small cast is very effective. As stated, Nicole Muñoz is very good as the emotionally wounded Leah. She creates a likable yet, troubled young woman who tries to sate her grief with death related interests. The only person she should be able to turn to for support is the one she is having the most problems with. Once she performs the ritual and awakens something, she gives us a very scared young girl with nowhere to run. Laurie Holden (The Walking Dead) is excellent as her equally troubled mom. She lashes out at Leah one minute, for simply reminding her of her husband and tries to be there for her daughter the next. The two actresses work well together creating a very dysfunctional dynamic between the two that makes this flick work. Rounding out the small cast is Chloe Rose as her friend Janice who has a traumatic sleepover at Leah’s new home and Eric Osbourne as Aaron, a boy interested in Leah. Adam MacDonald has gone back to basics and made a very spooky, unnerving, yet down to earth horror movie. He wisely makes his scares very grounded and the fact that they are not presented in a theatrical and over-the-top manner makes them more realistic and thus more frightening. His leading ladies work well together in creating a fractured and troubled relationship between the mother and daughter, based on two completely different methods of mourning. Add to that a young girl delving into dark forces she doesn’t completely understand and certainly can’t control and you have a supernatural bone chiller that is refreshingly driven on what really makes a true horror film work…fear. This one will be on my best of the year list for sure. Rated 3 and 1/2 balls of red yarn. Creepy flick is set in 1920’s Ireland in an old mansion where twins Rachel (Charlotte Vega) and Edward (Bill Milner) preside alone after the suicide of their parents. There is something unnatural there with them, something that decrees that they must be in bed by midnight, never let in strangers and never leave the estate. But their trust fund has run out and Rachel starts to feel the desires of womanhood when handsome Sean (Eugene Simon) comes home from the war. Can Rachel escape the curse and her increasingly disturbed brother, or is there a worse fate in store for her? 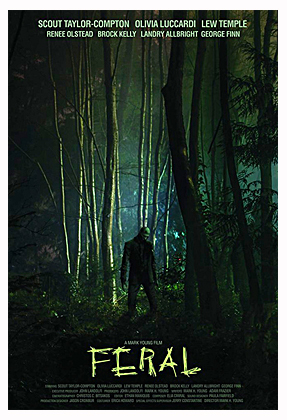 Irish supernatural thriller is stylishly directed by Brian O’Malley (Let Us Prey) from a script by David Turpin. The film is loaded with atmosphere and is very creepy, especially when we get some last act details on what fate awaits the twins and some truths about their family’s past. It’s a methodically paced film and is more about the mood of dread and foreboding than physical horror, though there is a little bloodshed, too. On that level it works very well in giving us goosebumps as we watch Rachel try to escape this curse that claimed her parents and their parents and so on. If you are looking for body count or intense scares look elsewhere, as this is about a prevailing spookiness which director O’Malley provides. He has a really effective visual style and makes great use of the decrepit old house setting and some water based imagery for the supernatural elements. There is some really atmospheric cinematography by Richard Kendrick and an appropriately Gothic score credited to Stephen Shannon, Kevin Murphy and writer David Turpin. It’s a slow burn chiller, but if you go in expecting something more on a Crimson Peak level, it is very unsettling and spooky. The cast was very effective as well. Charlotte Vega presents us with a sad young woman, who is determine not to share the fate of her parents and ancestors. She evokes the feeling of being trapped in an undeserved fate, yet also gives us the tinges of desire of a woman come of age. Bill Milner is very creepy as the deranged Edward. He embraces his cursed life completely and he can be very chilling as he tries to convince his twin to accept it, too. Rounding out the main cast is Eugene Simon as handsome WWI vet Sean. Sean is rejected by the townsfolk upon his return for fighting with the English. That combined with the loss of a leg, makes him a lonely and sympathetic character, who finds a kinship with Rachel aside from the physical attraction. It makes for an interesting triangle as Edward’s unnatural attachment to his sister evokes a growing jealousy. 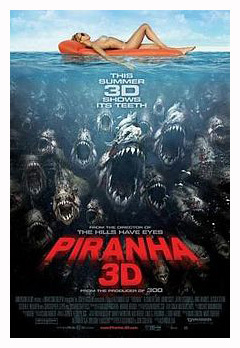 This flick may not be for everyone, especially those looking for more visceral horror like in O’Malley’s Let Us Prey. It is a more Gothic thriller and thus relies on atmosphere and dark moods to tell it’s tale of supernatural horror. The performances help guide the tale of a family cursed and the director knows how to build tension and dread to go with his spooky visuals. Yes, it’s slow moving and with only a few moments of bloody action, but still a very disturbing and creepy film from Brian O’Malley. 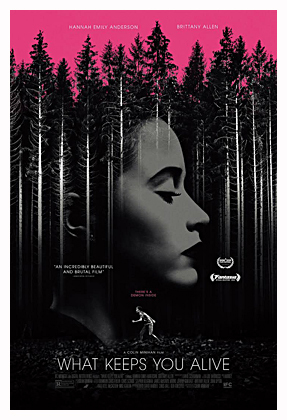 Based on a book by Adam Nevill, this chiller finds four friends traveling deep into the Swedish wilderness on a hiking excursion while mourning the death of a fifth member of their group. Deep in the woods they find a supernatural entity presides there, one worshiped as a deity by the locals and who feeds on the mental…and physical…pain of it’s sacrifices…and anyone wondering into it’s territory qualifies as a sacrifice. Film, directed by David Bruckner (the Amateur Night segment of V/H/S) from Joe Barton’s script, which is based on Nevill’s novel, evokes mixed feelings. On one hand it is basically The Blair Witch Project meets The Wicker Man (original version, of course) and thus is very familiar. On the other hand, Bruckner does conjure up some spooky sequences and the film has a very unsettling visual style, especially in the last act when it’s wendigo-like deity makes it’s appearance. There are scenes directly lifted from The Blair Witch Project with symbols found carved on trees, strange formations made from sticks and antlers and characters screaming in the distance as something unseen drags them away. There is a spooky cabin in the woods and even a witch. We do, however, also get some gory stuff with animals and people found gutted and hanging from trees and some very unsettling dream sequences, especially from lead Luke (Rafe Spall) who feels guilty over his friend’s death. It turns full blown into The Wicker Man in it’s last act, when the surviving hikers are taken to a village lost in time, where they are to be sacrificed to whatever lurks among the trees. Once the thing shows up, Bruckner gets some good effect from the spirit creature’s look and ferocity and the fight to escape it by the remaining characters. The movie is atmospheric and the small cast perform their clichéd roles well. There is a spooky score by Ben Lovett and some really effective cinematography from Andrew Shulkind to add to it’s overall effectiveness. This film was a bit hard to rate as it is very effective in terms of it’s atmosphere, it’s spooky visuals and some effectively creepy moments from director Bruckner, but constantly reminds us of other movies. It does use the familiar elements to do it’s own thing, but also borrow heavily from some widely renown films. It’s definitely worth a look, but go in knowing you’ve seen a lot of it before. Also stars Arsher Ali, Robert James-Collier and Sam Troughton as Luke’s three friends. Film is currently streaming on Netflix. 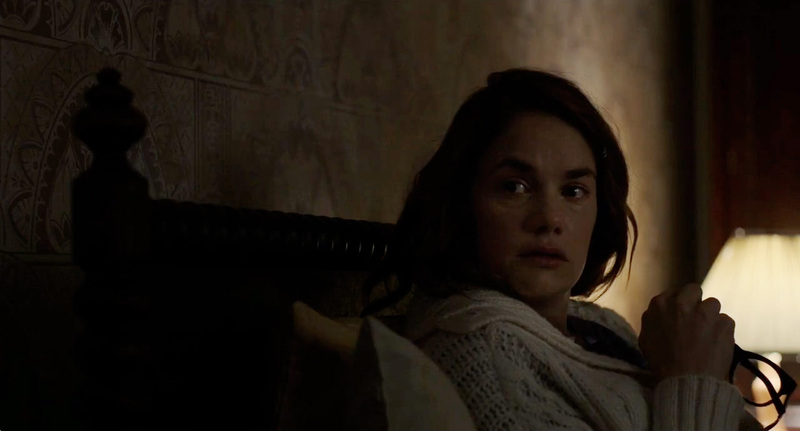 Sophomore flick from Osgood Perkins, shows the filmmaker has indeed mastered spooky atmosphere with this tale of home care nurse Lily (Ruth Wilson) moving in with ailing horror novelist Iris Blum (Paula Prentiss). 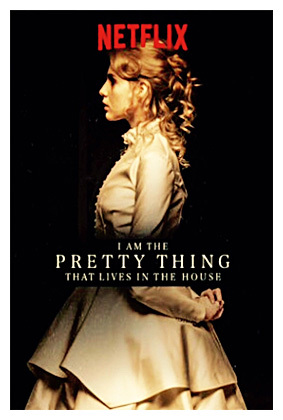 As she cares for the woman, the easily scared Lily starts to believe that the house is more than just a home, but a direct inspiration as it appears one of Blum’s character’s, Polly (Lucy Boynton) was indeed murdered in the house…and her spirit may still be there. While Perkins script presents a very thin story, the director loads it up with some really creepy atmosphere. Most of the film consists of Lily wandering about the house and seeing and hearing some very strange things as the film takes her on a journey of discovering that something happened in that house to inspire Blum’s most famous novel, The Woman Inside The Walls. Perkins accomplishes a lot with some very simple visuals and some very chilling moments as Lily discovers that Blum may have recounted an actually murder that took place in the house and relayed by the spirit of the victim herself, Polly. The story is far simpler than Perkins’ creepy The Blackcoat’s Daughter, but despite taking place solely in the house and mostly with just Lily, it still is quite unsettling at times. To say much more would be to spoil the effectiveness of this atmospheric tale. The equally atmospheric score for the film is once again by the director’s brother Elvis Perkins. The minimal cast is quite good as it practically is a one woman show. 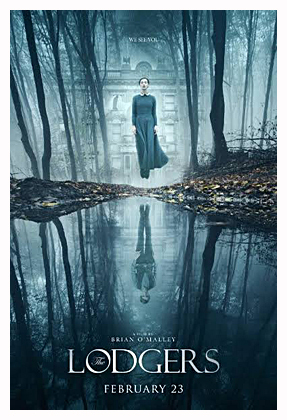 Ruth Wilson creates a very meek and timid woman, possibly a bit eccentric, too and takes her on a supernatural quest of discovery as Lily finds that the house has a dark secret that may have inspired her charge’s most famous tale. As Blum, Paula Prentiss doesn’t have many scenes, but is effective at portraying a woman with dementia, who is only adding to Lily’s mystery with her words, that may be more than babbling. Bob Balaban has a small part as a man who manages Blum’s affairs, Erin Boyles plays Blum in flashbacks and Lucy Boynton effectively plays Polly in flashbacks and when Lily has visions of her. 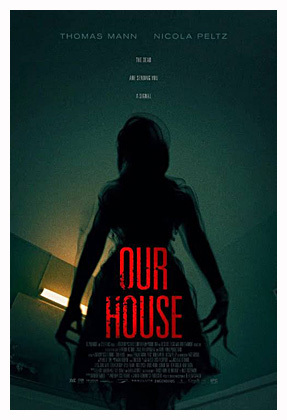 The film may be of a simpler nature than Oz Perkins’ first flick, but this is an old fashioned haunted house movie done in what is becoming the writer/director’s signature spooky style. It’s loaded with chilling atmosphere and unsettling scenes and while it is very economical in terms of story, it is still effective in giving chills for those patient enough to go with it’s slow burn. Rated 3 pretty things that live in the house. 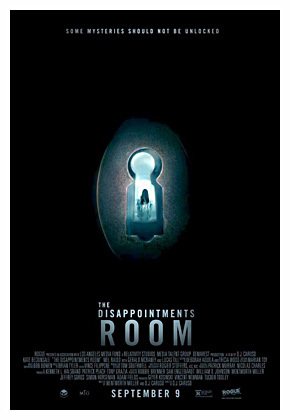 The Disappointments Room is exactly that. Kate Beckinsale stars as architect, wife and mother, Dana, who is moving into a rural country home with her family. Exploring her new house she finds it has a hidden locked room in the attic. Research reveals it’s a disappointments room…a room where well-to-do families hid deformed or handicapped children, to live out their lives in secret without ’embarrassing’ their families. Dana, having lost one of her own children, is especially disturbed by this and starts to see and be haunted by visions and apparitions of a past family and their deformed daughter. Is she just experiencing delusions caused by grief over the accidental death of her baby daughter, or is she really being haunted? Directed by D.J. Caruso (Disturbia), from a script by he and Wentworth Miller, this is an incredibly generic ghost story. All the well-worn clichés are present, such as Dana being the only one who sees these apparitions and the husband (Mel Raido) leaving mid-haunting to go away for a few days with the haunted wife now home alone with her son (Duncan Joiner). Beckinsale really tries hard here to give her emotionally strained mom some depth, but the incredibly bland script doesn’t give her much to work with. Raido’s husband is the typical doubter who believes it’s all in his wife’s head and there is the stereotypical young, hunky handyman (Lucas Till) to hit on Beckinsale’s hot mom, in a sub-plot that goes nowhere. Caruso directs competently, but achieves only a few spooky moments and holds our interest only by a thread. Bland and very familiar.